Zvizda was built in 2009 by a group of enthusiastic students. Although she was built in a short period before Rostock Regatta, here robust configuration proved to be a trustworthy. Backbone of Zvizda, was one kayak, which was modified in width to have enough buoyancy. Configuration of Zvizda was typical catamaran. 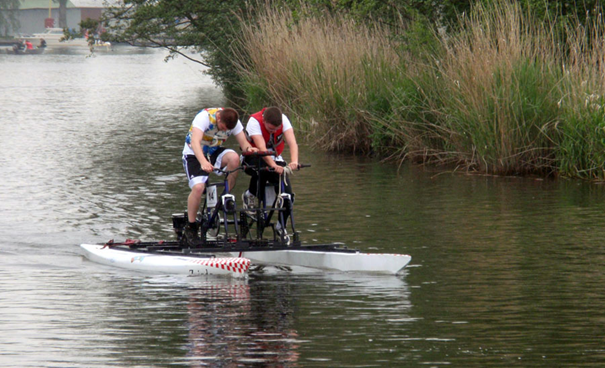 Two waterbikers sit on two bikes, whose rotating moment is assigned to azipod. Zvizda is out of function since 2012.